It's a simple paper document which, in the eyes of many, changed the world. The contract which established the first Apple partnership, which in later decades led to such innovations as the iPhone and iPad, has auctioned for $1.6m at Sotheby's New York. After provoking a fierce bidding war between six collectors, the rare Apple manuscript is now one of the most expensive business memorabilia pieces ever sold. The contract was signed by the recently-deceased Steve Jobs and his partners Steve Wozniak and Ronald G. Wayne on April 1, 1976. It confirms that Jobs and Wozniak, Apple's brilliant and innovative electronics engineer, would each get 45% of Apple's shares. Wayne, Apple's little-known original third partner, got 10%. This manuscript was formerly in Wayne's possession, until he sold it to a private collector in 1994. The signed contract was predicted to bring $100,000-150,000 in Sotheby's sale. It was billed by the auctioneer as the "first chapter in the story of one of America's most important companies." It sold to Eduardo Cisneros, chief executive of a private media, entertainment and telecoms business. The contract sold with an agreement documenting Ron Wayne's remarkable withdrawal from Apple for just $800 in the firm's early days. It's a decision he claims to have never regretted, even though Wayne's 10% of shares in Apple would today be worth closer to $33bn. But what could this $1.6m Apple contract be worth in future decades? Only time will tell - but you can bet that it will go up in value. Interestingly, there was a minor debate about this contract prior to Sotheby's sale. Not about the manuscript's provenance or authenticity, but rather its historical importance - started by none other than Steve Wozniak. Said Wozniak in an email discussion with MacWorld: "This [contract] was the partnership formed to produce a PC board for the 'Apple 1.' It was actually a different company than the one that got financed and produced the Apple. "This one was a partnership. The real company was a corporation. So it's a bit murky." But Owen Linzmayer, author of the book Apple Confidential 2.0, disagreed. "Seems like splitting hairs to claim that the Jobs/Woz/Wayne partnership that produced the Apple I isn't the same company that Jobs/Woz and (early investor/CEO Mike) Markkula incorporated shortly thereafter," he emailed. "Two of the founders are the same, the industry is the same, the companies share the same name, and the products are the Apple I and Apple II ... to call it murky is stretching it." Yet collectors had the final say on this manuscript's importance at Sotheby's auction. 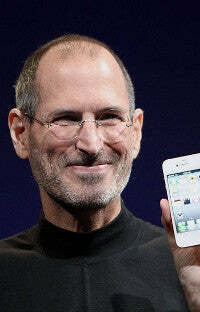 And the $1.6m sale indicates that there will likely be more Steve Jobs and Apple-related auctions in the future. 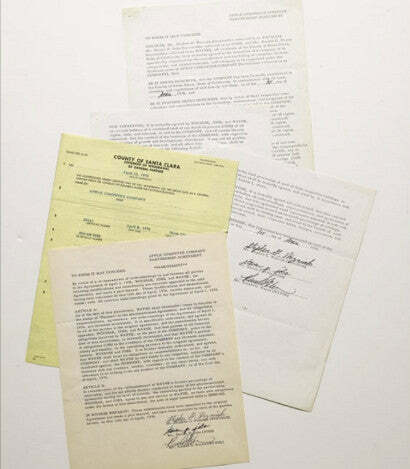 The sale of this document is only the latest in a number of Apple-related collectibles successes at auction. In late 2010, the world's first Apple computer brought $210,000. The "Apple-1" was one of just_200_ever made. Watch this space for more upcoming auction news from the Apple collectibles markets.